Just days before hard-fought presidential elections, President Robert Mugabe unilaterally reinstated controversial election laws Tuesday that had been struck down by the Supreme Court. Opposition lawmakers had complained the laws disenfranchised many of their supporters and would make it easier to rig voting in this weekend's elections. Mugabe and his main opposition rival Morgan Tsvangirai campaigned hard Tuesday ahead of the election, set for March 9 and 10. It is shaping up to be the closest and most bitter election since Zimbabwe's independence from Britain in 1980. The reinstated laws give state election officers sweeping powers and restrict vote monitoring, identity requirements for voters, campaigning and voter education. Mugabe's decree also restores a ban on absentee voting by as many as half a million Zimbabweans living abroad. The Supreme Court ruled Feb. 27 the elections laws were improperly forced through Parliament in January after they were initially defeated. 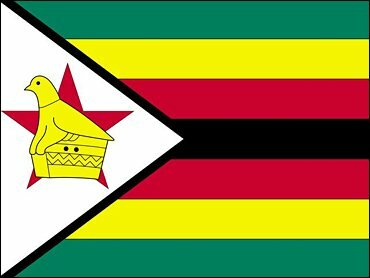 In a notice in the official Government Gazette on Tuesday, Mugabe overruled the court order, saying the laws had been validly enacted and "shall be deemed to have been lawfully" adopted ahead of the presidential vote. Mugabe's decree dealt a harsh blow to the authority of the judiciary, already the target of threats and intimidation by the government and by ruling party militants. Adrian de Bourbon, an attorney for the opposition Movement for Democratic Change, said the decree was illegal and unconstitutional. And the MDC's legal affairs secretary, David Coltart, said "Despite all of these obstacles, despite the fact that this is not going to be a free and fair election we are still confident that we can win. The only way that Robert Mugabe can win this election is if he steals it." The MDC, hoping to turn public anger over a crumbling economy and severe food shortages into victory at the polls, accuses Mugabe of using a militia disguised as a youth training service to terrorize the opposition ahead of the voting – charges Mugabe denies. Coltart said the MDC was building a case to show that the election will not be free and fair. "Our first course (if Mugabe wins) will be to go to the courts to set aside an election result. We will call on the international community to play its role," Coltart said. The 78-year-old Mugabe hit the campaign trail Tuesday, focusing on two themes - defending the state seizure of white-owned farmland and accusing Britain of meddling in African affairs. Tsvangirai used the backdrop of a Harare hospital to blame a crumbling health-care system on Mugabe's mismanagement. Zimbabweans go to the polls at a time of severe food shortages caused by drought and the state-sanctioned invasions of white-owned farms that have slashed maize production. Under the gaze of riot police, some 3,000 Zimbabweans lined up at a supermarket in the town of Chitungwiza Tuesday to buy vital maize meal, the erratic supply of which looms over Mugabe's election prospects. Election officials said the country's defense forces and police had already begun voting in advance polls. Zimbabwe's privately owned Daily News quoted unnamed army and police personnel as saying they had been forced to vote for Mugabe in the presence of their superiors. "If the newspaper report is true, the soldiers and police officers in question should come forward and identify themselves," Registrar-General Tobaiwa Mudede said in remarks broadcast on state-controlled television. Mudede said 5.5 million Zimbabweans were registered to vote at 4,000 polling stations around the country. Tsvangirai has repeatedly urged supporters to flood the polls, saying a large turnout would make it difficult for Mugabe to fix the election. Over the last two years Mugabe has filled key positions in his administration with former army officers. The Electoral Supervisory Committee is chaired by Sobuza Gula-Nbebele, a lawyer and a retired colonel, and the chief electoral officer is a former brigadier. Mugabe's camp claimed a major diplomatic victory Monday when the 54-member Commonwealth decided not to slap sanctions on him. African states blocked attempts by Britain, Australia and New Zealand to do so.